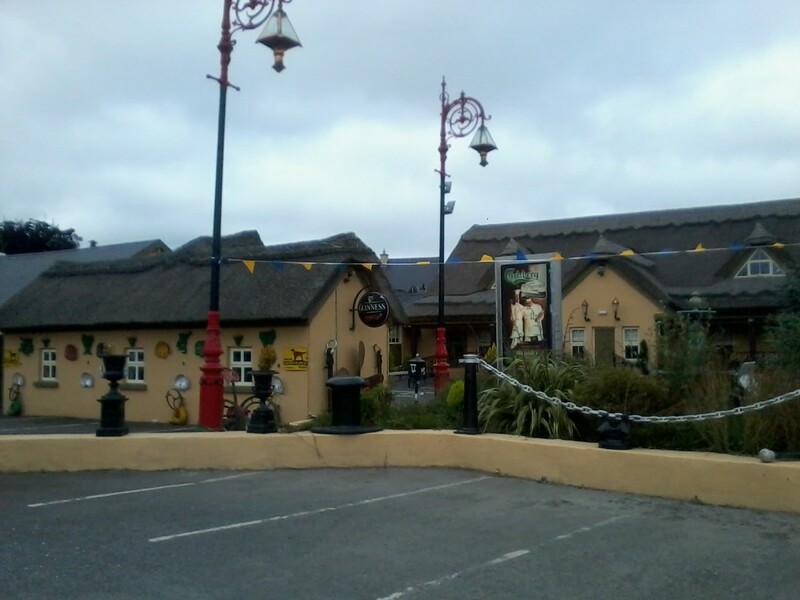 The Thatched Cottage is located in Ballycommon, Nenagh, Co. Tipperary. Five minutes from Nenagh en route to Dromineer. The building is unique in every way. 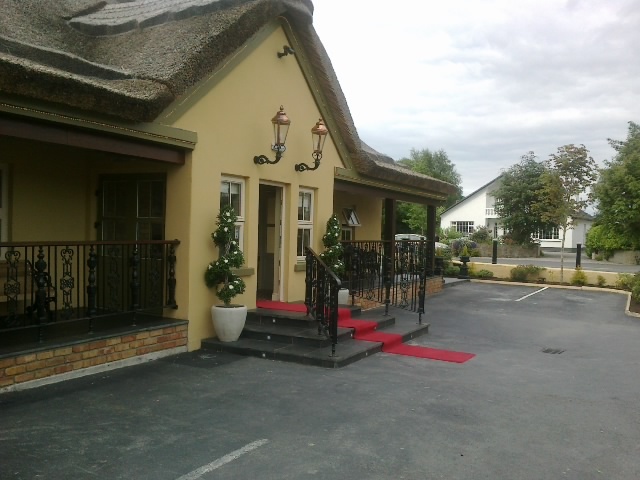 It is located in a restored Thatched Building at the heart of Old Tipperary dating back to the 1800's. The structure has been preserved and the outside stonework and other elements have been restored to its original state, we are the ideal venue for a corporate lunch, a savoury afternoon break or a successful party. Today the tradition is being nurtured and enhanced by the proprietors Kathleen and Tony Donlan. 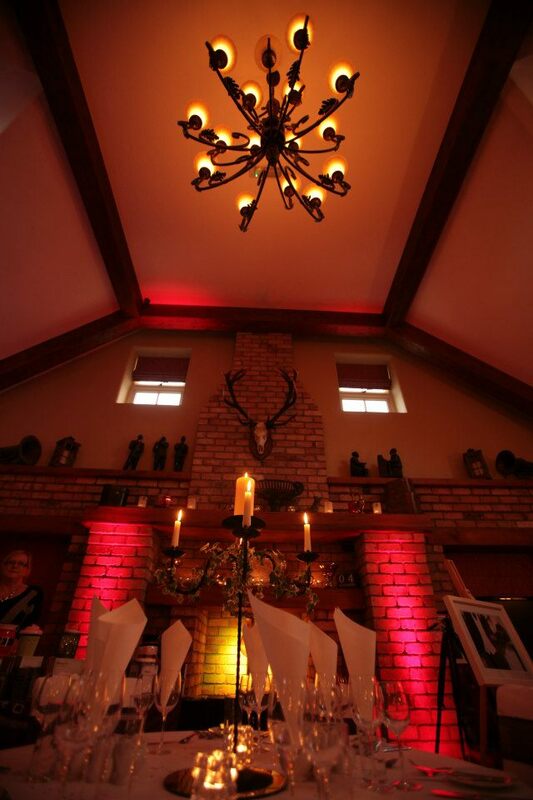 The Thatched Cottage is several areas of fabulous cuisine catering for everyone's need at all times of the day. We produce outstanding cuisine, and it is our intention to provide our customers with food at a reasonable price, and we work with our suppliers very closely to obtain the freshest ingredients at the best rate.. Divided into four main areas, The Bar, a stunningly old world farmhouse style bar where many a creamy pint has been drank in pleasure. The Stables Restaurant, a tastefully styled dining area with a modern feel complete with artistic lighting and views of the old stonework and marble fireplace. 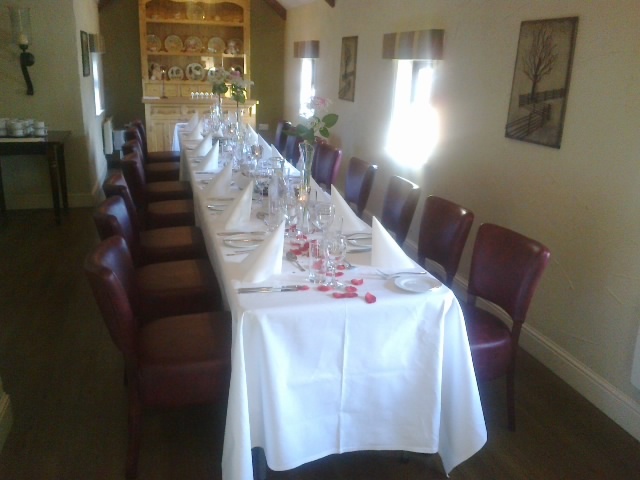 Nell's Cottage is a traditional quaint cosy room where one can have a private intimate get together whether it be a Celebration Birthday, Christening, or Communion. And our newly classically built Banquet Room which caters for weddings, functions, retirements, or any celebration. We are open 7 days a week from 11am, serving food, Carvery and A.La Carte. We welcome families and are child friendly. We look forward to welcoming you to The Thatched Cottage.